Home News New Interview and Video with Ryan Gould! New Interview and Video with Ryan Gould! We’re constantly working on new interviews with some really amazing bass players nowadays. 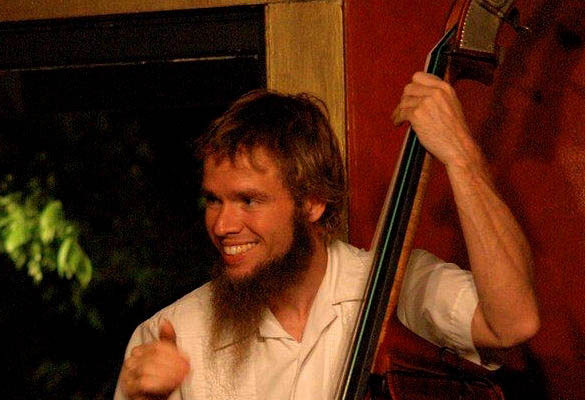 The latest one is with one of the busiest musicians and great slap bassist from Austin, Texas – Ryan Gould. Check out what Ryan told us about his bass setup, influences, different music styles, in the exclusive interview he gave to the Art of Slap Bass here. He also recorded a song for us “Rhythm Pals Jam”, that we featured on our video channel. Please subscribe to it here and don’t forget to rate it and write a comment. There are more amazing videos on the way! At the end, please sign in to the forum here and ask Ryan a question or just write him some words of support. Thank you for following the Art of Slap Bass!